A list of countries with most powerful passports has been released according to which Germany has 159 points and it is on the top while Sweden and Singapore are at 2nd and 3rd place respectively. 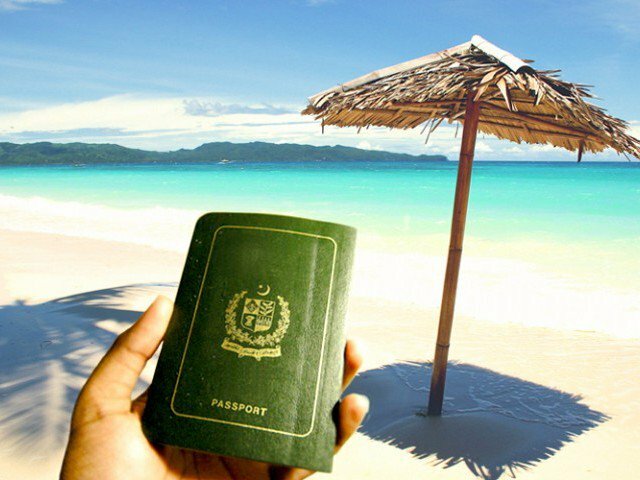 The list also shows performance of South Asian countries which shows that Indian passport is on top with 48 points and it is followed by Sri Lanka and Bangladesh with 38 and 37 points respectively while points of Pakistani passport is just 27. Passport of Afghanistan is at bottom in the whole world with 24 points and the Pakistani passport is just above Afghanistan. But despite being at such a low position, there are few countries in the world that offer visa free entry to Pakistan or allow Pakistanis to attain their passports after entering their country. Following is the list of 27 these countries. This entry was posted in News and tagged Visa free countries for Pakistan, Visa Free Entry to Paksitanis. Bookmark the permalink.